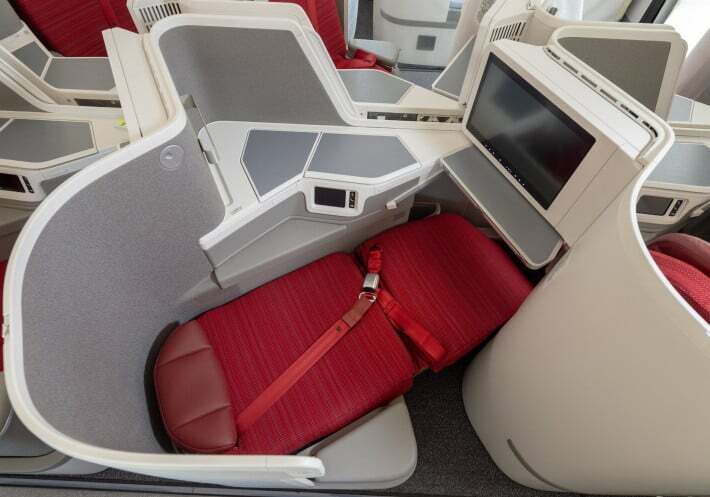 Hong Kong Airlines has taken delivery of its latest A350, and with it, the next evolution of its premium experience, unveiling a newly upgraded Business Class seat. In addition to a refreshing new look, designed in-house, the new Business Class seat is also equipped with one of the most advanced IFE systems, providing passengers with “an immersive entertainment during their travels,” as the airline’s press release states. 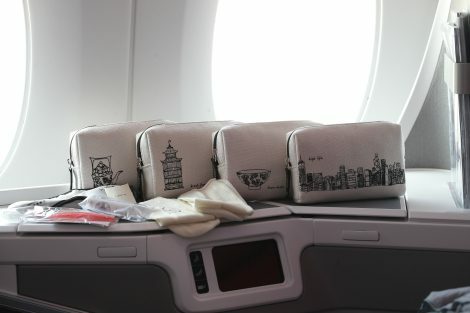 Hong Kong Airlines has quickly been rising up the ranks with the addition of a range of contemporary designer touches such as Club Autus, new tableware, and funky amenity kits. These new seats have also been carefully considered, with each of the 33 seats coming with a set of specially designed smooth and soft bedding. The cabin continues to provide it’s paired back modern and neutral tones however the biggest difference to the business class passenger experience will be found in the seating arrangement, featuring a 1-2-1 configuration. The seat features all the familiar stats such as a 78-inch fully-flat bed and a 17-inch widescreen monitor as well as a touch-enabled integrated handset running the new AVANT system that promises passengers an enhanced entertainment experience inflight. The airline certainly is quickly becoming a formidable player in Asia, especially for Premium passengers. 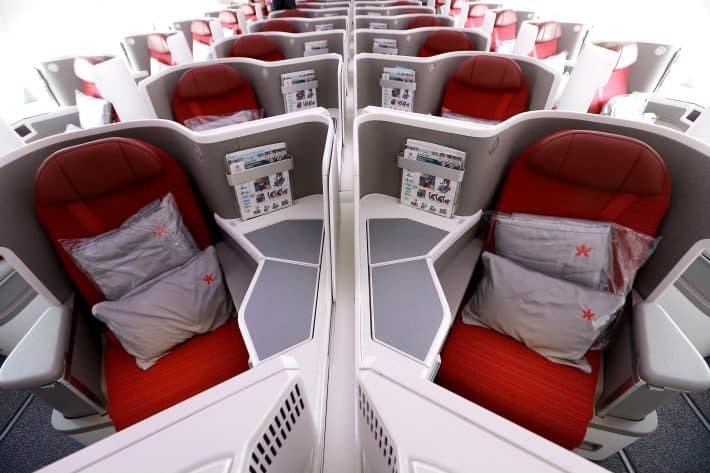 Since taking delivery of its first Airbus A350 aircraft and the opening of Club Autus, Hong Kong Airlines has continued to push for service enhancements for its Business Class offerings. The airline has also worked with great chefs including Hong Kong’s own Gabriel Choy and San Francisco’s Chris Cosentino to put great food in the skies. But for those wanting to experience the new aircraft cabin, currently, the only route to feature the product is Los Angeles which will start next month. However, those wanting to experience the product on a shorter flight prior to that, the airline will deploy the new A350 on the Bangkok route for crew familiarisation during its first month of operation.